It seems that everyone has been told that the ideal cadence is 180 steps per minute. The great Jack Daniels himself has stated that a slow cadence is associated with overstriding and increased injury rates. For a long time, this has been undisputed. A cadence of 180 was king. However, lately this magic number seems to be something people are questioning. Is a cadence of 180 really ideal for every person at every pace? One time in college, my team was out on a winter run and decided to get off the road and take the snow-covered field to get back to the fieldhouse. The snow was a little deeper than we expected, and someone got the idea to get into single file and step in each other's footprints. It took us all of a couple seconds to realize that while we were all running the same speed, our stride lengths were all over the place and this clearly wasn't going to work. One example that sticks out in my head is that of my friend Mollie and I. Just for some background, our training was similar, we probably have similar amounts of talent, and our PRs in everything from the 1500 to the 5000 are within two seconds of each other. However, though she had more than a few inches of height on me, my stride was a lot longer. When I tried to step in her footprints, I found myself using an awkward clipped stride that nearly felt like a fast-feet machine gun sprint drill. We switched places and she found herself taking triple jump-style bounds to land in my footprints. Considering we were running the exact same speed (it was an easy group run), this could only mean that my turnover was way slower than hers. I already knew my cadence was under 180, but this was just embarrassing, so after we laughed about it that day, I did my best not to mention it around the team again. (On the bright side, my stride was still shorter than our assistant coach's, who was also running with us that day.) Now, I knew that my cadence sped up to something closer to ideal when I was doing speedwork or racing, but it's not like I'm counting my steps while looking at my watch during a race, so I have no idea whether I hit (or surpass) that 180 steps per minute or not. However, at slow paces, that run was proof that I was definitely not running with an ideal cadence (I've counted about 170 at my normal faster than an easy recovery death crawl, but slower than a steady run pace). Slattery runs next to Elmuccio, his predecessor as King of New Jersey prep running. While obviously laboring as his chest heaves in search of oxygen, Slattery still captures Wetmore's attention. "Look at him," he says with the admiration of a veteran horse trainer admiring the gallop of a promising colt. "He's got a big, powerful stride!" Slattery gobbles up ground as he runs, taking one stride for Elmuccio's two. Despite their Jersey roots, the two are a study in contrasts. From Elmuccio's short clipped stride and reticent demeanor to Slattery's gallop and brash countenance, the two are polar opposites. What they do share is an intense rivalry born in their prep days, and this first workout is just a prelude for the battles to be waged between the two throughout the fall. Okay, while obviously "one stride for Elmuccio's two" is an exaggeration, it's clear that Slattery has a longer and slower stride than Elmuccio (the book gives no indication whether Slattery is below 180 or Elmuccio is above 180, though I would suspect it's a combination of the two, which would exaggerate the difference without either athlete going to the extreme end of the spectrum). So at least I'm not the only person who doesn't have a super high cadence, and some people with slower cadences are pretty fast too. Steve Slattery has won a Big 12 Championship and a National Championship, among other honors, despite having a slower cadence than Matt Elmuccio, even when the two are running at the same speed. So that makes me feel a little better. But let's explore this some more. Pete Larson at RunBlogger has an interesting post on cadence (as well as stance, swing, aerial, and step time) that compares this data among elites at the 2011 Boston Marathon. Something interesting that Larson notes is that cadence does not predict footstrike (which was hinted at in Daniels' statement that a slow cadence often means overstriding), since Desi Davila has a very fast cadence (193.6) despite being a heelstriker (though it would be kind of silly to assume that Davila's proprioceptive heelstrike is overstriding). On the other end of the spectrum is Ryan Hall's relatively slow cadence of 173.9. One question that's bound to come up is what effect does height (or more accurately, inseam) have on cadence? If the ideal cadence is truly 180, someone 6'3 will have the same stride length as someone 5'3, assuming they are running the same speed. And I'm sure we've all seen track races where it looks like everyone is running exactly in stride, no matter what their height. However, logically it would seem that someone with really long legs would have a longer stride (due to their longer legs) and slower turnover (due to the increased weight of their legs) than someone taller. Davila seems to be an example of this, as she stands 5'2 and has a very high cadence. However, my friend Mollie and I stand as a counterexample, since she probably has about 4 inches on me, yet has a much shorter stride. It can be argued that neither Mollie nor I are elite runners and therefore may not have the world's most efficient strides, though at this point, both of us had been running competitively and doing speedwork (including efficiency and speed development work) for several years. Unfortunately, three is a pretty pathetic sample size, and no real conclusions can be drawn from this data, though I felt it was interesting enough to warrant a mention. I mentioned earlier that I am fairly certain that my cadence varies a bit with speed. I've never counted (props to those of you who can race and calculate cadence at the same time), so I couldn't say by how much, but I'm pretty sure that my legs turnover faster when I'm racing a 5000 than when I'm jogging a recovery run. So I'm going to point you to a recent post at Sweat Science, since Alex Hutchinson actually does have some real data, as well as some great charts to accompany it. Now, before you try to point out that Hutchinson is only one person, and try to claim that he's running "wrong," check out his next post on cadence variability among elite Kenyan runners at different paces. Again, we're looking at a pretty small sample size (as Hutchinson admits), but it's some really interesting stuff! On the flip side, Dave Munger of Science-Based Running points out that Lagat's cadence does not change as he changes paces, though I feel like talking about 5000m race pace versus a kick is quite a bit different than talking about the variety of paces at which Hutchinson looks. Munger also calculates Lagat's cadence at 216, which is higher than anything Larson saw at Boston. Is this because Lagat has a naturally faster turnover? Or because Lagat's 5000m pace is faster than Davila and Hall's marathon pace, and the faster pace warrants a faster turnover? Anyone have any more data on this? If so, leave me something in the comments, I'd love to read more on this subject! Glad you enjoyed, and thanks for the link, Mike! I think one has to remember that Jack Daniels observations were on 800m to marathon of olympic runners so the slowest speed was probably a 5:15/mile pace. Most probably do better with a slight increase in turnover but I wonder what strength and or motor recruitment variables play in all of this. Nice post Becki...have a good one..Brent aka..moove foreward. That's a great point, Brent! It was something that I never thought to question in God knows how many years of reading Daniels stuff. When I'm running 78s, my turnover is definitely up there too! I'd actually have to wonder if it would be higher than theirs to go the same speed, since my stride won't be as powerful, or if the cadence would be similar and I'd just have to work harder to get the same stride length. So many questions! I remember driving myself nuts running on a treadmill and trying to figure out my cadence after reading Daniels. Think I got it into the 170-180 range, and it did motivate me to move toward a shorter, quicker stride. 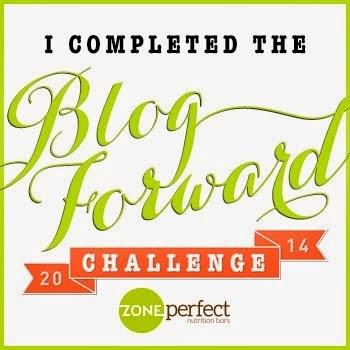 Another winner of a blog entry! Thanks for your comment! I've tried so hard to hit 180 on easy runs, but it always seemed like so much more work to maintain the same pace and stay with the team. It just didn't seem like it could possibly be efficient for my stride. Obviously more research needs to be done on this subject before we can say anything definitively (if anything is ever definitive), but if there's anything to this, it may explain a lot of things for a lot of people!